Beginning on April 1, 2019 Ways and Means Public Safety Subcommittee held a week of hearings focused on the Oregon Judicial Department (OJD) 2019-2021 requested budget. SB 5513, is the OJD budget bill. The proposed legislative budget, released in March by the co-chairs of the Joint Committee on Ways and Means, calls for a 5% reduction across state government with the exception of healthcare and education. This translates into more than a 6% cut to OJD operations, since certain constitutionally mandated functions, such as judicial salaries, interpretive services, and juror payments may not be reduced. Because of these challenges to court funding, the Oregon State Bar has reinvigorated its Citizens’ Campaign for Court Funding. This campaign supports the statewide coalition of citizens and business and community groups formed to ensure adequate and stable court funding. Create 14 new judicial positions in order to meet timeline standards for children in foster care, and focus on family courts and dependency cases. Create 78 new staff positions to allow the courts to improve public access. This includes ensuring that staff are available to answer phones, that counters are open 8 hours a day, and that judgments are entered within 72 hours of filing. On April 4, 2019 the Citizens’ Campaign for Court Funding arranged for Christine Costantino from the OSB Board of Governors, as well as representatives from the Oregon Association of Defense Counsel, the Oregon Criminal Defense Lawyers Association, the Oregon District Attorneys Association, Oregon’s legal aid providers, the Oregon Public Defense Services Commission, and the Oregon Trial Lawyers Association to testify in support of the OJD budget. In addition, business, nonprofit, and community leaders submitted testimony identifying the need for a healthy judicial department and shared their support for adequate funding for Oregon’s court system. Over the upcoming months, members of the Ways and Means Committee will continue their discussions about this and other public safety budgets in order to craft a statewide budget. Another three Oregon State Bar bills moved through the first chamber. SB 358 is an update to ORS chapter 9, which provides statutory guidance to the Oregon State Bar. On January 30 OSB President, Christine Costantino, and OSB General Counsel, Amber Hollister, testified in support of the bill in the Senate Judiciary Committee. The bill received a work session on March 26, was amended, and was voted unanimously out of committee. SB 358, as amended, is an omnibus bill that makes a number of changes to ORS chapter 9 including the following: updates reporting timelines for IOLTA accounts, removes the prohibition on 50-year licensing fees, allows the Department of Revenue to share information with the Oregon State Bar, acknowledges the authority of the Oregon Supreme Court over the Oregon State Bar, and explicitly states the Bar’s mission. The bill passed the Senate on a 27-0-3 vote on April 2, 2019. It is scheduled for a public hearing and work session in House Judiciary on April 23, 2019. House Bill 2459A allows a lien holder to request an itemized statement of the amount necessary to pay off a lien from another lien holder. The bill came from the Oregon State Bar’s Debtor-Creditor section. On February 2, 2019, Erich Paetsch from the Oregon State Bar’s Debtor Creditor Section testified in support of the bill in the House Judiciary Committee. The bill received a work session on April 4, 2019 was amended, and was voted unanimously out of committee. The bill passed the House on a 58-0-2 vote on April 17, 2019. The third OSB bill, HB 2462, was discussed in the previous Capitol Insider. The bill came from the OSB Military and Veterans Law Section. The bill passed the House unanimously on April 8, 2019. It is scheduled for a public hearing and work session on April 22, 2019 in the Senate Judiciary Committee. HB 2244 – Establishes CourtCare Fund and appropriates moneys in fund to Department of Education for distribution to counties to operate CourtCare programs. HB 3164 – Directs Public Defense Services Commission to distribute moneys to Metropolitan Public Defender Services for establishment and administration of pilot program according to specifications, collection of certain program data and submission of data to commission. HB 3145 – Directs Public Defense Services Commission to conduct study on improving provision of public defense services and present report on findings to interim committees of Legislative Assembly related to judiciary on or before September 15, 2020. HB 3201 – Provides that agreement for deferred resolution of criminal cases may not contain requirement that defendant enter plea of guilty or no contest. HB 3388 – Modifies annual salaries of judges of Supreme Court, Court of Appeals, circuit courts and Oregon Tax Court. SB 186 – Changes index for determining cost of living adjustments to limitations on damages under Oregon Tort Claims Act. SB 279 – Requires certain persons that service student loans in this state to obtain or renew license. The Oregon delegation met with members of Congress to support funding for the Legal Services Corporation and the Public Service Loan Repayment program. Maya Crawford Peacock, Campaign for Equal Justice; Edwin A Harnden, Barran Liebman LLP; Christine Costantino, Oregon State Bar President; Susan Grabe, Oregon State Bar Public Affairs Department Director; Monica Goracke, Oregon Law Center. April 2019. On March 4, the Oregon State Bar’s Nonprofit Organizations Law Section bill, SB 360 received a work session and passed out of the Senate Judiciary Committee. Senator Cliff Bentz (R-Ontario) carried the bill on the Senate floor, where it passed 24 to 2 (with 4 excused). The bill is now on its way to the House for consideration. (1) Changes should clarify or improve the functioning of the statutory framework, but not make major policy changes to the legal structure for nonprofit corporations in Oregon. (2) A nonprofit corporation should, with limited exceptions, be able to draft its own governance rules through its articles and bylaws. At the same time, certain rules will be mandatory and will be clearly identified as such in the statutes. In addition, SB 360 includes several provisions to combat abuses by anonymous shell corporations. The new provisions require more transparency and provide the state additional enforcement tools to combat fraud and other illicit activities. On March 19 the House Judiciary Committee held a public hearing on HB 2462, a bill from the Military and Veterans Law Section. The bill, as amended with the -3 amendments, would require a court at the time of arraignment to inform a defendant that their status as a servicemember may make the defendant eligible for treatment programs, specialty courts, diversion or mitigated sentencing and that they may wish to speak to their attorney about these options. Jesse Barton, a member of the Military and Veterans Law section, testified in support of the bill. On March 27 the bill passed out of committee unanimously with the -3 amendments. Additionally, the bill specifies that a defendant’s status as a servicemember may not be used as an aggravating factor in sentencing, and permits a defendant to request that the court seal within the court file any information regarding a defendant’s status as a service member. Veterans involved with the criminal law system has been a focus of the Military and Veterans Law Section for several sessions. In 2010 the section worked to pass SB 999 which allowed for diversion for veterans in certain circumstances and in 2013, the section passed SB 124 which directs the court at sentencing to consider evidence received during a criminal proceeding regarding the defendant’s status as a servicemember in determining aggravation or mitigation. SB 113 – Authorizes court to award prevailing retail customers, who bring actions against vehicle dealers, attorney fees under certain circumstances. SB 421 – Prohibits insurer from receiving reimbursement or subrogation for personal injury protection benefits or health benefits insurer provided to person injured in motor vehicle accident from any recovery injured person obtains in action for damages except to extent that injured person first receives full compensation for injured person’s injuries and reimbursement or subrogation is paid only from amount of recovery in excess of amount that fully compensates for injured person’s injuries. SB 728 – Includes insurance in definition of real estate, goods, and services that are subject to penalties for unlawful trade practices. HB 2014 – Restricts limitation on award of noneconomic damages to claims in actions for wrongful death. HB 2517 – Prohibits state agencies from suspending or revoking license required to pursue commercial activity, trade, occupation, or profession because licensee is delinquent in paying student loan debt. On March 6, 2019, the Senate Judiciary Committee held public hearings on a number of family law bills. During the hearing, legislators heard testimony on equal parenting time, appointing legal counsel for children in contested domestic relations proceedings, and creating a procedure for alternative dispute resolution for custody and parenting time modifications, among other topics. In 2016, the Senate Judiciary Committee convened a work group to review Oregon custody and parenting-time statutes. The work group included advocates; expert practitioners, including representatives from the OSB Family Law Section; judges; and stakeholders. Over the last few years, the work group took the opportunity to review current Oregon law and practice as well as statutes in other states, developments in case law, and research on best practices for child custody and parenting time. On March 14, 2019, the House Judiciary Committee held a public hearing on HB 3064. In 2013 the Oregon Legislature passed the Justice Reinvestment Act to support justice reinvestment efforts. The Act both changed the charging practices on specific crimes and allowed for public safety cost savings. Because of the savings from the Act, the state delayed building a new women’s prison in Oregon. HB 3064 as amended with the -1 amendment would update the Act. The bill would make a number of changes to the program, from expanding the Justice Reinvestment Grant Review Committee, to requiring the Criminal Justice Commission to assess the engagement of the counties in reducing use of prison beds. The bill gives the Criminal Justice Commission the ability to reduce, withhold, or redirect grant funds if counties have not reduced the use of imprisonment. The bill passed out of committee on March 21 with the -1 amendment. If you are interested in attending this event, please contact Kellie Baumann at [email protected]. Every year, the Oregon State Bar’s Board of Governors holds its February meeting in Salem. 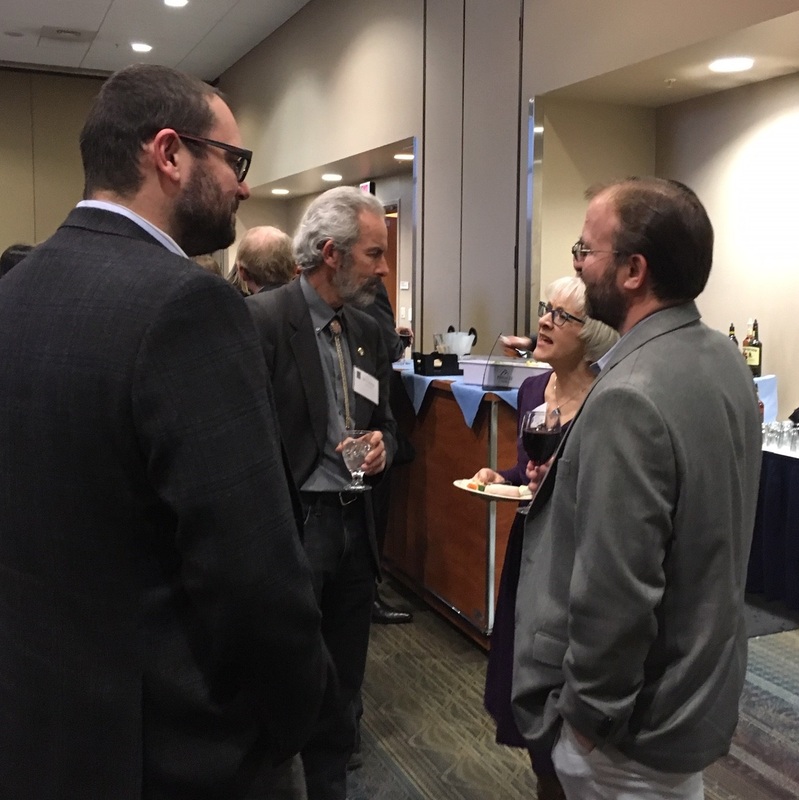 This year, in conjunction with the legislative session, the BOG hosted the 2019 President’s Reception at the Salem Convention Center on February 21. The reception provides an opportunity for practitioners, judges, legislators, and bar leadership to discuss many of the issues that are affecting the practice of law and the judiciary. During the reception Christine Costantino, 2019 OSB President, spoke about the important role the Bar plays in public protection, access to justice, and supporting the judiciary and highlighted the Bar’s legislative priorities: adequate funding for the courts, civil legal aid, and indigent defense. The next OSB legislative event is the Oregon State Bar Day at the Capitol. Scheduled for May 8, 2019, this is an opportunity for practitioners to meet with legislators, experience the legislative process, and advocate for the Bar’s legislative priorities. Please contact Kellie Baumann at [email protected] for more information. HB 2460 – Provides that transferee of homestead is not liable for amounts of outstanding deferred property taxes due on homestead if transferee receives no interest in real or personal property from estate. HB 2588 – Requires certain persons that service student loans in this state to obtain or renew license. HB 3022 – Makes various changes to workers’ compensation laws of this state. SB 388 – Directs Governor or designee to notify presiding judge of circuit court of county of conviction within 10 days of granting pardon. SB 608 – Prohibits landlord from terminating month-to-month tenancy without cause after 12 months of occupancy. SB 681 – Prescribes optional form for supported decision-making agreement. SB 684 – Specifies requirements for covered entities that own, license, maintain, store, manage, collect, process, acquire or otherwise possess personal information, and for vendors that provide services to covered entities, to notify consumers of breach of security. 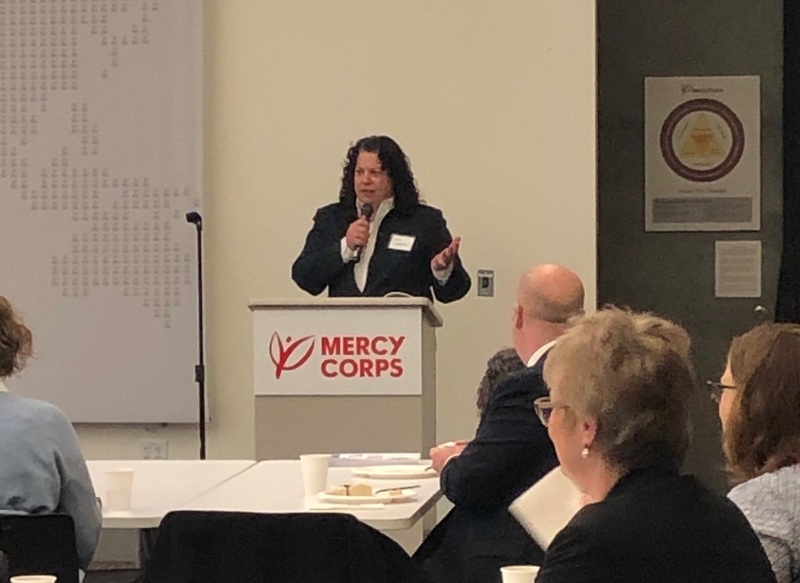 On February 19 the Citizens Campaign for Court Funding (CCCF) held its first nonprofit breakfast at Mercy Corps in downtown Portland. 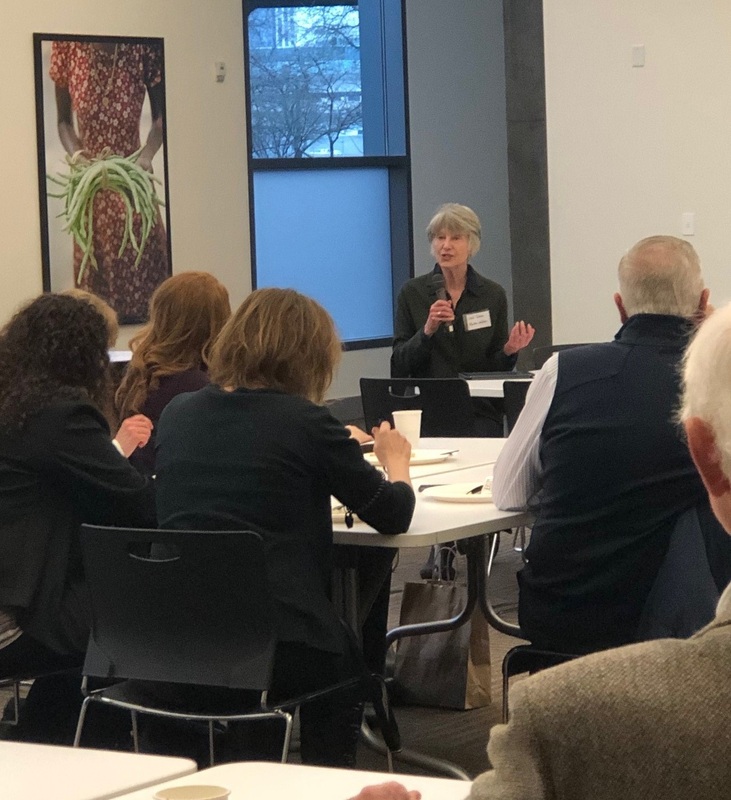 The event, hosted by the Oregon State Bar and the Oregon Judicial Department, was an opportunity for nonprofit organizations throughout Oregon to meet with Chief Justice Martha Lee Walters and discuss the need for adequate funding for Oregon’s court system. Representatives from the American Federation of State, County and Municipal Employees (AFSCME), Central City Concern, the ACLU, the Oregon Law Center, Catholic Charities, and the Nonprofit Association of Oregon, among others, spent the morning discussing the challenges of providing needed services to Oregonians. Participants focused on the intersection of social services and the court system and the need to provide adequate funding across programs and agencies to strength the system as a whole. Additional information on the CCCF can be found on its website. On February 18, the Senate Judiciary Committee held a public hearing and work session on Senate Bill 357. The bill increases the statutory allocation for state legal-aid funding, ties legal-aid funding to the consumer price index, and clarifies the Oregon State Bar’s commitment to the efforts of Oregon courts to ensure access to justice. Amy Edwards, the president of the Oregon Law Center’s board of directors, Monica Goracke, the executive director of the Oregon Law Center, and Bill Penn, the associate director of the Oregon State Bar’s Legal Services Program and the associate director of the Oregon Law Foundation, testified in support of the bill. Each of the speakers focused on a different aspect of Oregon’s civil legal-aid services. Discussion in committee ranged from the types of services provided by legal-aid attorneys, the regulatory and funding oversight provided by the OSB Legal Services Program, and the 2018 Legal Needs Study. SB 357 moved out of committee with a unanimous vote and will now go to the Joint Committee on Ways and Means for further consideration. On the first day of session, the Oregon Judicial Department (OJD) provided an overview of Oregon’s court system to the Senate and House Judiciary Committees. During the hearings, Chief Justice Martha Lee Walters and State Court Administrator Nancy Cozine provided an overview of the OJD and answered questions from committee members. The presentation delved into the structure of the court system and the types and volume of the different cases that come before the courts. The OJD’s presentation can be found here. In addition to an overview of the court system, the OJD presented three bills to the Judiciary Committees. In the morning, the Senate Judiciary Committee heard testimony in support of SB 186, which updates the references to the consumer price index for the Oregon Tort Claims Act. In the afternoon, the House Judiciary Committee heard testimony in support of increasing judicial compensation (HB 2238) and increasing the number of circuit court judges in Oregon (HB 2239). Supporting adequate and stable judicial funding is one of the OSB’s legislative priorities for the 2019 legislative session, and the Bar submitted testimony in support of both bills heard in the House Judiciary Committee. 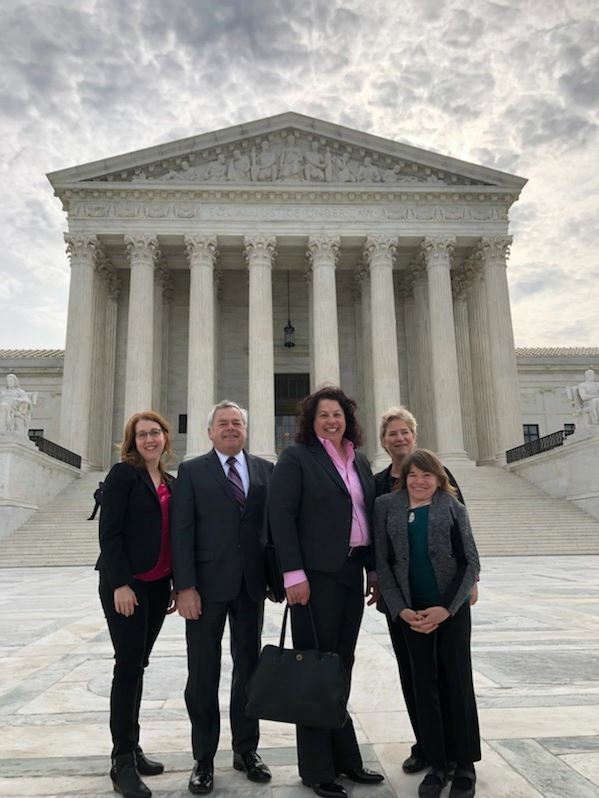 In addition, Mark Comstock, former Board of Governors member, and Lea Ann Easton, chair of the OSB’s work group tasked with updating The Specific Standards for Representation in Juvenile Dependency Cases traveled to the Capitol to testify in support of these two pieces of legislation. 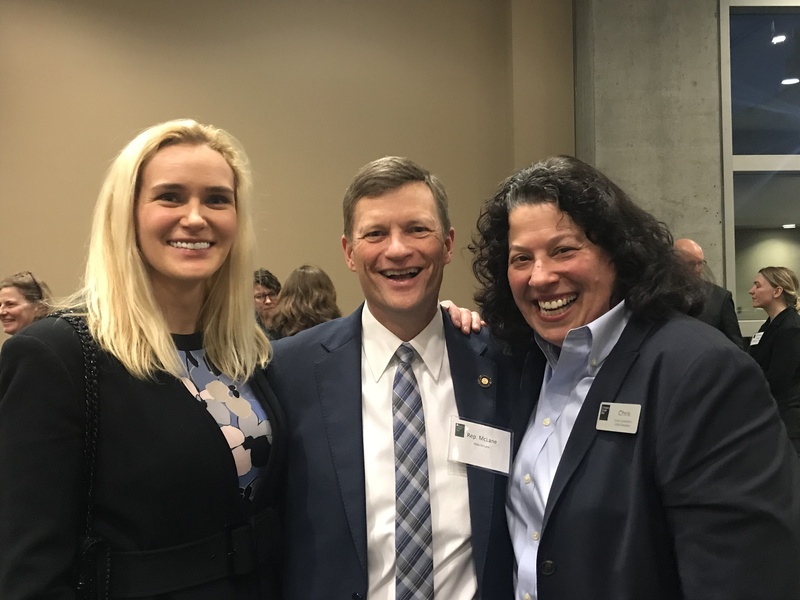 On January 30, Christine Costantino, 2019 Oregon State Bar (OSB) President, and Amber Hollister, OSB General Counsel, traveled to Salem to represent the Bar. At the request of the House and Senate Judiciary Committees, they discussed the Bar’s 2019 Legislative Priorities and the 2019 Law Improvement Package, provided legislators with an overview of the OSB, and met with legislators. In addition, the Senate Judiciary Committee held a public hearing on SB 358, the 2019 Bar Act bill. The presentation highlighted the Bar’s commitment to consumer protection, access to justice, and a fair and impartial judiciary. Legislators had an opportunity to learn about the Bar’s Lawyer Referral Service, including the Modest Means Program and the Military Assistance Panel; the Client Security Fund; and Bar member involvement with the Campaign for Equal Justice. The OSB looks forward to working on these important issues during the 2019 legislative session. On February 4, three of the OSB Law Improvement Program bills received a public hearing in the Senate Judiciary Committee. SB 359, the Business Law Section’s proposed bill to ratify defective corporate acts, received a public hearing and a work session and will move out of committee and to the Senate floor. SB 360, the Nonprofit Organizations Law Section’s proposed bill to update ORS Chapter 65, Oregon’s law on nonprofit corporations, received a public hearing. SB 361, the Sustainable Future Section’s proposed bill to update Oregon’s Prudent Investor Rule, also received a public hearing. Thank you to Valerie Sasaki and David Ludwig of the Business Law Section, Susan Bower of the Nonprofit Organizations Law Section, and June Wiyrick Flores of the Sustainable Future Section for making the trip to Salem on a snowy Monday morning. HB 2238 – Modifies annual salaries of judges of Supreme Court, Court of Appeals, circuit courts and Oregon Tax Court. HB 2239 – Increases number of circuit court judges in certain judicial districts. HB 2240 – Authorizes State Court Administrator to establish Central Violations Bureau and designate employees to act as violations clerks. HB 2241 – Authorizes Chief Justice of the Supreme Court to impose fees on public bodies for use of certain electronic court services. SB 187 – Provides that judicial marshal certified by Department of Public Safety Standards and Training qualifies as police officer under Public Employees Retirement System. SB 357 – Directs Oregon State Bar to include in Legal Services Program methods of evaluation of legal services providers and support for Judicial Department’s efforts to improve public access to and information about court system. SB 358 – Removes provisions prohibiting Oregon State Bar from charging membership fees to members admitted to practice law for 50 years or more, modifies provisions relating to information provided to bar by Department of Revenue, and modifies provisions regarding submission of certification and disclosures for lawyer trust accounts. SB 359 – Provides structure and procedures by which business corporations and nonprofit corporations may ratify and approve defective corporate actions. SB 360 – Updates laws that govern nonprofit corporations in this state. SB 361 – Modifies prudent investor rule to allow trustee to consider environmental, social and governance factors of investments when making investment decisions. HB 2459 – Provides procedure for certain persons that hold interest in real property to request and obtain lien information statement that shows amounts necessary to satisfy encumbrance against real property from other person that holds encumbrance. If you are interested in attending either event, please contact Kellie Baumann at [email protected]. The 2019 legislative session begins Tuesday, January 22, 2019, and the legislature is gearing up. Committee membership has been published, committee schedules have been released, and pre-session filed bills have been posted on the Oregon Legislative Information System (OLIS). The Public Affairs Department is available to assist all Oregon State Bar sections and committees track proposed legislation. If a section or committee has already identified specific bills to follow, please contact Kellie Baumann in the Public Affairs Department at kbauman[email protected], to ensure that legislation is included in the section’s bill-tracking list. As bills are introduced, the Public Affairs Department will review all proposed legislation and refer specific bills to groups that may be interested in the subject. Throughout the session, a section or committee’s legislative contact will likely receive periodic emails from the Public Affairs Department notifying him or her of bills that might interest the group. Once a section or committee has identified bills to follow, those bills will be input into the group’s bill-tracking page. Each group has its own page on the Public Affairs Department’s webpage. This will enable each group to receive updates and to review changes to any legislation that a group has expressed an interest in following. If you have any questions about proposed legislation, do not hesitate to reach out to the Public Affairs Department. Proposed legislation will be posted on the Oregon Legislative Information System (OLIS). The Uniform Trial Court Rules committee met on October 5, 2018, to review proposals to amend the UTCR and to make preliminary recommendations to the Chief Justice of the Oregon Supreme Court. A description of the proposals and action taken by the committee is posted at: http://www.courts.oregon.gov/programs/utcr/Pages/currentrules.aspx. Proposals of special note address the certificate of document preparation; translations of exhibits; consumer debt-collection cases; exhibits in juvenile cases; filing of the DMV record; extreme-risk protection orders; notice of filing expedited matters; electronic signatures on declarations; and statewide postconviction-relief rules. The committee encourages all interested parties to submit comments on the proposals. Comments can be posted at the web address mentioned above; mailed to the UTCR Reporter at the Office of the State Court Administrator, Supreme Court Building, 1163 State Street, Salem, Oregon 97301-2563; or emailed to [email protected]. In order to be considered by the committee, public comment must be received by the UTCR Reporter by 5:00 p.m. on February 22, 2019. The committee will make final recommendations on these proposals at the next UTCR meeting on March 8, 2019, at 9:00 a.m.
On January 11, 2019, the Oregon State Bar’s Board of Governors met in Tigard. As part of their meeting, the Board adopted their 2019 Legislative Priorities. 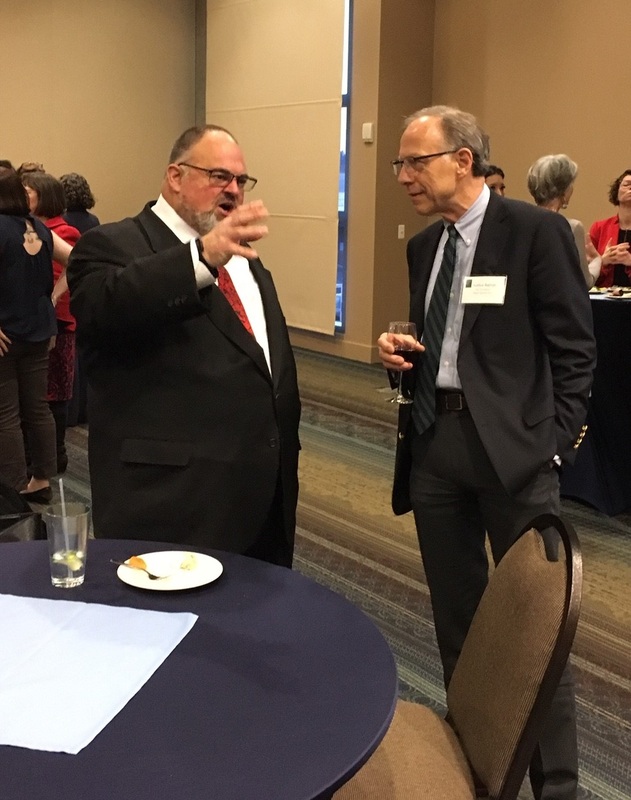 The Oregon State Bar looks forward to supporting its partners in the judicial branch in advocating for adequate funding for Oregon’s court system, civil legal aid, and indigent defense, as well as supporting the bar’s law improvement priorities. Support Court Funding. Support for adequate funding for Oregon’s courts. Citizens Campaign for Court Funding. Support the statewide coalition of citizens, businesses, and community groups formed to ensure adequate and stable court funding. Court Facilities Funding. Work with the legislature and the courts to make critical improvements to Oregon’s court facilities. Judicial and Staff Resources. Support the request for additional judges and staff to ensure access to justice. Support Legal Services for Low-Income Oregonians. Civil Legal Services. Increase the current level of funding for low-income legal services. Ensure funding sufficient to support adequate compensation for publicly funded attorneys in the criminal and juvenile justice systems. Support reduced caseloads for attorneys representing parents and children. Support efforts to ensure the right to counsel for adults at the trial level in Oregon. Support OSB 2019 Law Improvement Package and Continue to Engage with Ongoing Legislative Work Group and Task Force Proposals. Additional information on the budgets of the Oregon Judicial Department and the Public Defense Services Commission can be found on their websites. In the spring of 2018, the Oregon Legislature requested that the Oregon Law Commission “advise the Legislative Assembly on how best to revise its laws and policies related to workplace harassment.” Led by the chair, P.K. Runkles-Pearson of Miller Nash Graham & Dunn LLP, and a member of the Oregon Law Commission, the work group conducted a review of the legislature’s process and policies for addressing workplace harassment. During the December 2018 legislative days the Oregon Law Commission submitted its final report from the Oregon State Capitol Workplace Harassment Work Group to the legislature for consideration. After review of the legislature’s process and procedures, the work group organized its recommendations into two spheres: cultural change (Training and Culture) and enforcement (Workplace Harassment Policy). In addition, the work group provided a suggested definition of “workplace harassment” for consideration by the legislature and suggestions on implementing the work group’s recommendations. The Oregon Legislature is expected to respond to the report during the 80th Legislative Assembly, which begins on January 22, 2019, and runs through June 2019. Last week the Oregon Legislature met in Salem for December Legislative Days. This was the first meeting since the November election and conversations focused on proposed legislation for the 2019 legislative session. On Friday afternoon, both the Senate and the House Interim Judiciary Committees met to discuss a variety of issues that may arise in the Judiciary Committees during the upcoming session. The meeting opened with the introduction of committee legislative concepts. Draft legislation can be found on the Oregon Legislative Information System (OLIS) under the Committees’ “Meeting Materials” pages (Senate Interim Committee on Judiciary, House Interim Committee on Judiciary). A preview of Kaylee’s Law (LC 644). Proposed legislation for the 2019 legislative session that formalizes and clarifies the role of campus public safety officers. An update from the Law Enforcement Contacts Policy and Data Review Committee (LECC). A review of work that the LECC has completed, focusing on stop data, including data collection and law enforcement training. Trauma-Informed Approaches in the Justice System. A discussion of the need for training for law enforcement in victim-centered, trauma-informed practices. Crime Rates of Unlawful Use of a Motor Vehicle. A review of Oregon and national data. Sixth Amendment Center Review of Oregon Public Defense Services. A presentation of the findings and recommendations regarding Oregon’s public defense services. The final report will be released in the new year. Post-Conviction DNA Testing. Proposed legislation for the 2019 Legislative Session that would streamline Oregon’s DNA testing statute and make testing more accessible. To watch the hearing, please go to OLIS for the recording. During the 2017 legislative session, the Legislature passed SB 505 (2017). The bill created a pilot project in three counties, Deschutes, Jackson, and Multnomah, to require the recording of grand jury proceedings beginning in March 2018. The remaining counties are required to begin recording grand jury proceedings on July 1, 2019. The responsibility for grand jury proceedings is split between the Public Defense Services Commission, the Oregon Judicial Department, and the district attorneys. Over the course of the December Legislative Days, all three had the opportunity to present reports on their experiences and the impact of the grand jury recording requirement. The Public Defense Services Commission identified cost of recordings, cost of transcription, and attorney workload in a preliminary report to the Legislature as areas to watch. The district attorneys requested funding to cover costs for the three pilot counties. The Oregon Judicial Department identified preliminary hearings, grand jury transcripts, protective orders, and possibly shorthand reporters as areas of interest. As the remaining districts prepare to record grand jury proceedings, the use of preliminary hearings will continue to be explored. This week, the Oregon Legislature released the committee assignments for the 2019 Legislative Session. While the Legislature’s budget writers for the 2019 Legislative Session had already been announced, Senate and House leadership waited until after the 2018 election and caucus meetings to determine committee assignments. Many of the issues that Bar members track flow through the Senate and House Judiciary Committees as well as the Public Safety Subcommittee of the Ways and Means Committee. For a complete list of House committee assignments, visit the Oregon State Legislature’s website here. For a complete list of Senate committee assignments, visit the Oregon State Legislature’s website here. Are you interested in government relations in Oregon? Are you an Oregon lawyer engaged in the legislative or rulemaking process? If yes, consider joining the new Government Relations Listserve (GRList). The GRList is for attorneys that practice or have an interest in government relations in Oregon. The opt-in listserve will provide a forum for attorneys in this area to discuss topics relating to government relations, legislation, CLEs, rulemaking, etc. The goal is to create a space where attorneys in this practice area can regularly connect on issues, network, refer potential clients, develop relevant CLEs, and work to create and update practice tools and other items of relevance to the practice. To join, please email [email protected] and request to be added to the GRList. At the request of the Legislative Assembly, the Oregon Law Commission has reviewed the law and policies concerning workplace harassment in the State Capitol. After extensive deliberation, the Commission’s work group has produced a number of preliminary recommendations and now seeks your feedback. To review the preliminary recommendations, work group materials and other relevant information, please visit https://law.uoregon.edu/explore/olc-workplace-project. The Commission will accept written testimony and comments until 6:00 PM on November 30. Public Oral Testimony – You may provide oral testimony to the work group on November 30, from 4:00 PM to 6:00 PM, in Hearing Room B of the State Capitol. Public Written Testimony – You may submit written testimony to: [email protected]. Informal Written Comment – You may submit informal comments – with or without attribution – via the Oregon Law Commission website. On November 2, 2018 the Oregon State Bar’s House of Delegates (HOD) met at the bar offices in Tigard. The meeting began with comments from Chief Justice Martha Lee Walters; Vanessa Nordyke, the current Oregon State Bar President; and David Wade, the Chair of the Board of Governor’s Budget and Finance Committee. Chief Justice Walters began the morning with an overview of the state of the Oregon court system and a call for Bar member support for the Oregon Judicial Department’s 2019 – 2021 proposed budget. In addition, David Wade announced that member fees would not increase in 2019 but may increase in the next few years. There will be a $5 increase in the Client Security Fund to $15. This year the HOD voted on six resolutions. The HOD adopted each of the resolutions. The Annual Meeting has been posted on the bar’s website at https://www.osbar.org/leadership/hod/ for those who could not attend. Thank you to all of the HOD delegates who participated. This election cycle a number of legally-trained candidates successfully ran for office. Kate Brown was re-elected as Governor of Oregon. Governor Brown is a former family law attorney, legislator, and Secretary of State. Attorney General Rosenbaum, a former Court of Appeals judge and Secretary of State Dennis Richardson, a former litigator, were not up for re-election this year. Oregon Commissioner of Labor and Industries, Brad Avakian, a civil rights attorney, did not run for re-election and will step down in 2019. The House of Representatives included nine legally-trained legislators from 2016 to 2018. Two legally trained representatives will be leaving at the end of the term. Thank you to Representative Rich Vial (Sherwood) and Representative Phil Barnhart (Eugene) for your support of Bar priorities, including funding for the courts, civil legal services, and indigent defense. Representative Linninger (Lake Oswego) left during to become a Circuit Court Judge in Clackamas County and Representative Bentz (SE Oregon) received a mid-term appointment to the Senate. This election increases the number of legally-trained senators to five. While Senator Betsy Johnson (St. Helens/North Coast) was not up for re-election this year, Senator Floyd Prozanski (South Eugene) and Senator Peter Courtney (Keizer/Woodburn) both ran successful campaigns and will be returning to Salem. In addition, Senator Cliff Bentz (SE Oregon), who was appointed to the Senate in 2017, ran a successful re-election campaign. Shemia Fagen (Clackamas), a former state representative, successfully ran her first Senate race this year. The 2018 Citizens Campaign for Court Funding Breakfast was held early Halloween morning in downtown Portland. Chief Justice Martha Lee Walters and Justice Thomas Balmer of the Oregon Supreme Court as well as leaders in the legal and business community, joined Ed Harnden, Michael Haglund, and Graciela Gomez Cowger to discuss the importance of adequate funding for Oregon’s Court system. Over the course of the breakfast, the Justices shared the budget priorities for the Oregon Judicial Department. This biennium the Oregon Judicial Department is focusing on increasing the number of judges and court staff, safe and secure courthouses, and adequate judicial salaries. The court has provided a list of priority projects which can be found here. Of particular concern to the courts is judicial compensation. Oregon currently ranks 46th of the 50 states in cost-adjusted salaries. During the legislative session that begins in January and will run through June, lawyers and business leaders will have the opportunity to reach out to legislators and share their support for adequate funding for Oregon’s court system. For more information on the CCCF and how you can get involved, please visit the CCCF website. On December 14, 2018, the Commission on Judicial Fitness and Disability will be holding a public meeting from 9:00am – 10:00am at the Oregon State Bar in Tigard. Please see below for the agenda and more information. Comments from the public will be taken in person, or by phone by dialing 866-403-9130 and entering passcode #1135315. Comments can also be emailed ahead of time to [email protected]. On September 26, 2018, the Senate and House Interim Committees on Judiciary met in Salem during the fall legislative days. Over the almost three-hour meeting the committee members received information regarding the passage of Senate Bill 719 (2017), which instituted extreme-risk protection orders (ERPOs), and the implementation of House Bill 2355 (2017), which treats possession of controlled substances in some situations as a misdemeanor. Extreme-risk protection orders (SB 719). Judge Maureen McKnight from Multnomah County, along with the superintendent of the Oregon State Police and the Multnomah County Sheriff, testified on the use of ERPOs. In addition, a representative from Everytown for Gun Safety also testified. Judge McKnight focused on the impact of the ERPOs on the judicial system and provided data on the use of ERPOs in the court system. Misdemeanor charging for some possession of controlled-substance arrests (HB 2355). Attorney General Ellen Rosenblum as well as representatives from Unite Oregon and the Criminal Justice Commission testified regarding the implementation of HB 2355. The speakers reported on the decrease in arrests as well as a decrease in racial disparities in felony possession of controlled-substances convictions. In addition, the committees received information on a Behavioral Health Reinvestment Project, the Women’s Justice Project, an update on the Juvenile Justice Work Group, and marijuana diversion. These four projects may generate proposed legislation for the 2019 legislative session. Juvenile dependency legal representation. The Department of Human Services and the Department of Justice jointly reported to the subcommittee regarding the implementation of HB 5006 and SB 5526. These two bills, passed during the 2017 legislative session, provide funding for enhanced legal representation for child-welfare workers in juvenile dependency hearings. The report from the two agencies indicated that full implementation of the program in all 36 counties is expected to occur by July 1, 2019, to meet the specific needs of each county. Grand-jury recording. During the 2017 legislative session, the legislature passed SB 505, which requires the recording of grand-jury proceedings. The legislation required three counties to begin recording all grand-jury proceedings by March 1, 2018, while the remaining counties are required to begin by July 1, 2019. During the September meeting, the Oregon District Attorneys Association requested a funding allocation for costs associated with the implementation of SB 505. Central to the discussion were questions surrounding the financial responsibilities of the counties and the state. On Tuesday, October 12, 2018, the House of Delegates (HOD) proposed resolutions were published on the Oregon State Bar’s website. If you are interested in discussing these proposals prior to the HOD Annual Meeting on Friday, November 2, 2018, please consider participating in one of the HOD regional meetings scheduled for October 16–18, 2018. These meetings will be hosted in each bar region and provide an opportunity to learn about the HOD agenda and proposed resolutions for the annual meeting. For more information, please visit the Oregon State Bar’s House of Delegates page. On September 8, 2018, the Oregon Council on Court Procedures met to discuss draft amendments to the Oregon Rules of Civil Procedure (ORCP). Over a two-year cycle, the council drafts, reviews, and promulgates rules and amendments to the Oregon Rules of Civil Procedure in response to developments to case law, new Oregon or federal legislation, innovations in technology, or changes in legal practice. The council will meet again on December 1, 2018, to discuss comments and vote on the proposed rules and amendments. To submit comments or feedback, visit the Council on Court Procedure’s website for more information: http://www.counciloncourtprocedures.org. This year, the annual meeting of the House of Delegates (HOD) will be on Friday, November 2, 2018, at the Oregon State Bar Center located at 16037 SW Upper Boones Ferry Road, Tigard, OR 97281. Oregon State Bar members were invited to submit resolutions to include on the HOD agenda. HOD members submitted a question or measure for the agenda by delivering a copy of the full text of the item to be presented, including a description of any financial impact, to the Executive Director at least 45 days in advance of the meeting. A Bar member who is not a delegate may submit a resolution by a petition signed by at least 2 percent of all active members. In mid-October, the Board of Governors will host HOD regional meetings throughout the state. This is an opportunity for OSB members to review the proposed resolutions and ask questions. The HOD agenda will be distributed on October 12, 2018, and regional meetings will be scheduled October 16 to 18, 2018. For more information on the House of Delegates, please visit https://www.osbar.org/leadership/hod. Do you support a well-funded court system? Is adequate funding for legal aid and indigent defense important to you? Is access to the court system a priority? If you answered yes to any of these questions and are interested in advocating for the Bar’s legislative priorities, consider participating in the Oregon State Bar’s legislative outreach program. To sign up, go to https://publicaffairs.osbar.org/grassroots-advocacy-for-court-funding. This summer, Justice Thomas Balmer ended his tenure as the Chief Justice of the Oregon Supreme Court. Justice Balmer was the 43rd chief justice of the Oregon Supreme Court and served in that role for six years, from 2012 to 2018. In this role he was also the administrative head of the unified court system. Justice Balmer continues to serve on the court. During his tenure as chief justice, the Oregon Judicial Department moved forward on a number of legislative proposals. Under Chief Justice Balmer’s leadership, the department completed the statewide implementation of Oregon eCourt, continued much-needed courthouse maintenance and replacement projects including the replacement of the Multnomah County Courthouse, and successfully advocated for sufficient funding from the legislature to increase judicial compensation and the number of judges within both the circuit courts and the Oregon Court of Appeals. Justice Balmer was appointed to the Oregon Supreme Court by Governor Kulongoski in 2001. Prior to joining the judicial branch, Justice Balmer practiced in Boston and Washington DC and was a partner at Ater Wynne in Portland. Thank you to Justice Balmer for his service as the Chief Justice of the Oregon Supreme Court. For information on current Chief Justice Martha Lee Walters, read the July 2, 2018, issue of the Capitol Insider. Simple, two-thirds, or three-fifths majority votes? Chief Justice Martha Walters began her tenure as the Chief Justice of the Oregon Supreme Court on July 1, 2018. Justice Walters is the 43rd Chief Justice of the Oregon Supreme Court and the first female elected to the role. Justice Walters has been a member of the Oregon Supreme Court since 2006. Prior to joining the judicial branch, Justice Walters practiced employment law and civil litigation in Eugene. In addition to her practice, Justice Walters has been an active volunteer with the Oregon State Bar, the Lane County Bar Association, and the first woman president of the National Conference of Commissioners on Uniform State Laws. Prior to joining the court, Justice Walters was involved with the Civil Legal Services Task Force, the Oregon State Bar Disciplinary Board, and the Judicial Administration Committee, to name just a few of her commitments in Oregon. Further, Justice Walters joined the National Conference of Commissioners on Uniform State Laws as one of the four Oregon Commissioners in 1992. In 2007 she was voted in as the first female president of the Commission. Congratulations to Chief Justice-elect Walters! A retrospective of Chief Justice Balmer’s tenure will run in the next issue of the Capitol Insider. 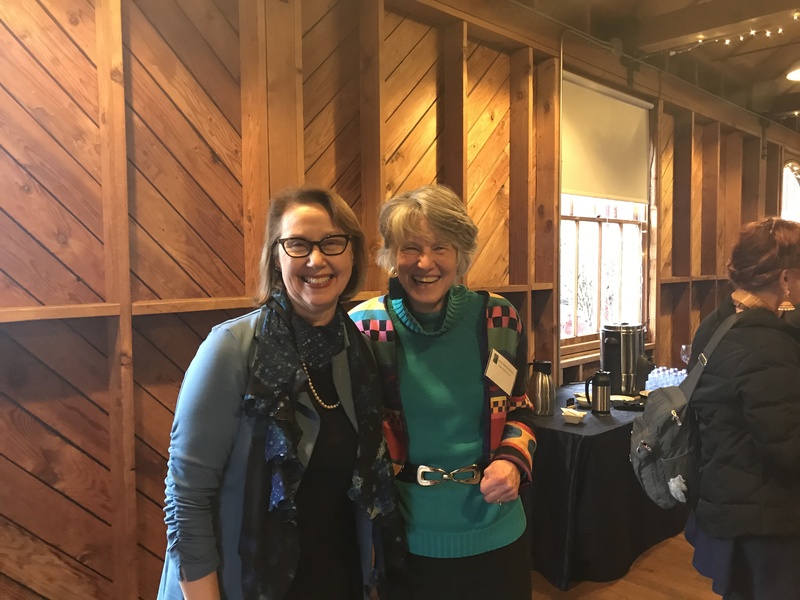 Attorney General Ellen F. Rosenblum and Supreme Court Chief Justice Martha Lee Walters at the Oregon State Bar’s President’s Reception in Salem, Oregon. February 2018. In some situations, the Oregon Constitution requires greater than a majority vote to pass legislation. Under Article IV, section 25, bills that raise revenue require a three-fifths majority for passage. And under Article IV, section 33, of the Oregon Constitution, some bills that reduce criminal sentences require a two-thirds majority for passage. Two separate bills that passed in the last two legislative cycles are currently being challenged in Oregon’s courts based, in part, on these constitutional requirements. In 2018, the Oregon Legislature passed Senate Bill 1528. The bill removed a state tax add back in the calculation of Oregon’s adjusted gross income for some taxpayers. SB 1528, which began in the Senate, passed the Senate 16–13 with 1 excused and passed the House 32–28. While the bill did not receive three-fifths of the votes in either chamber, proponents have argued it did not “raise revenue” for the purposes of Article IV and therefore did not need to meet this requirement. Senator Brian Boquist (R Dallas) filed suit challenging the passage of the bill in June. In 2017, the Oregon Legislature passed House Bill 3078, which reduced sentencing for some property crimes. Measure 57, a voter-approved initiative passed in 2008, addressed repeat property crimes. Under Article IV, section 33, of the Oregon Constitution, bills that reduce a criminal sentence approved by the people requires a two-thirds majority for passage. HB 3078 passed the House 33–26 with 1 excused and passed the Senate 18-11 with 1 excused. In this case, the bill did not receive two-thirds of the votes in either chamber. Proponents of the bill have argued that the changes to Measure 57 in 2009 modified the initiative enough so that Article IV does not apply. Clackamas County District Attorney John Foote, among others, have challenged the constitutionality of HB 3078. With the completion of the May primary elections, the Republican, Democratic, and Independent candidates are gearing up for the general election on November 6, 2018. This election cycle, 10 of the 11 currently sitting lawyer-legislators are running for reelection. Representative Phil Barnhart (D-Eugene) has decided to retire after 18 of years representing his House district. Three new lawyers are running for a legislative seat this election cycle. Candidate Kim Wallen (R-Medford) is running for Representative Sal Esquival’s seat in House District 6. Candidate Marty Wilde (D-Eugene) is running for Representative Barnhart’s seat in House District 11. In addition, Shemia Fagan (D) won a primary challenge and will be running unopposed in the general election to fill the District 24 Senate seat (Mid-Multnomah County). *Mr. Diller withdrew from the campaign in June. A replacement will be picked by the Democratic Party of Oregon to run in his place.